Tailor-Made Builders have been a tremendous supporter or Water Orton & District Tennis Club, having carried out the majority of our building work to a very high standard! 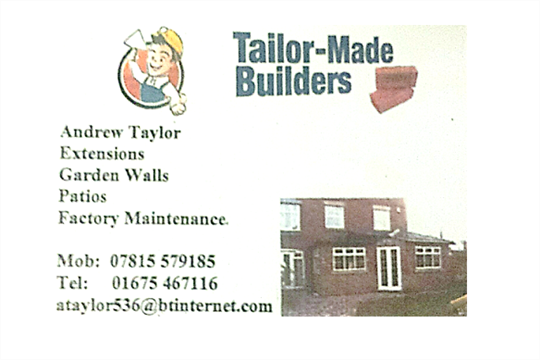 Andy Taylor, managing director of Tailor-Made Builders, always works above and beyond to give the best results. We have never had any issues with any work carried out by his company and would highly recommend them.